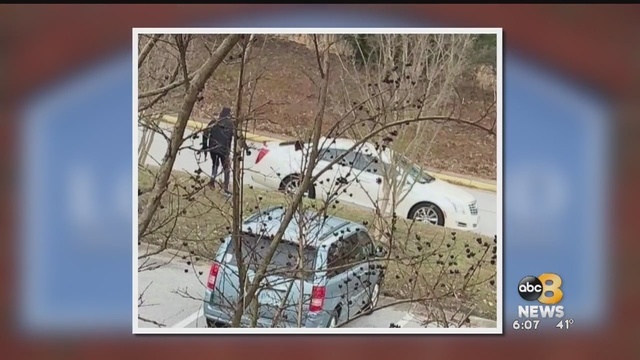 RICHMOND, Va. - Several people are questioning the delayed response from Longwood University after they say the school did not inform students, until the next day, about a person wandering on campus with an assault weapon making threats in January. On Jan. 27, a photo showing a masked man with an AK-47 was captured at Longwood University's Village Apartment complex. "We're just terrified as a campus for something like this to happen it really rocks us to our core a little bit," said senior Ashtyn Clark. Longwood Police received reports of the threats and investigated. On the same day, authorities identified the person in the photo as Malcolm Deon Leviage. Police chose not to tell students about the incident until more than 24 hours later. Another senior at the school, Conrad Brinkman, spoke with our sister station WRIC about the concerns around campus. "Everyone just worried about it but then Longwood University not sending something out added to the scare even more," Brinkman said. Assistant Vice President for communications, Matthew McWilliams, told WRIC they did this because they didn't feel an alert was needed after an officer responded. 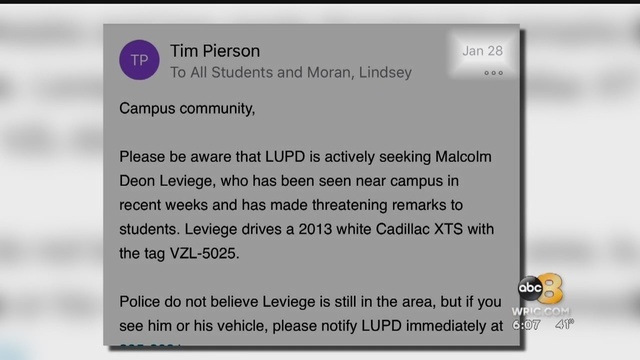 "The suspect had left already and they were looking to intimidate one person and so he quickly determined that there was no on-going threat to campus safety," McWilliams said. Some students said they are okay with how Longwood handled the situation. ​​​​​​​Some students are not happy with the response. "Anyone with a gun on our campus or in the vicinity of where people live is an issue," Clark told WRIC. Leviage did end up being arrested in Northern Virginia for the incident but now some students say they don't feel entirely safe on their own campus anymore. "It raised a lot of concern with students that a lot of people just lost trust in the university," said Brinkman. Longwood will host a campus safety town hall where students will be able to voice their concerns on Wednesday night at 6 p.m.
© 1998 - 2016 VirginiaFirst.com | Nexstar Broadcasting, Inc. | All Rights Reserved.